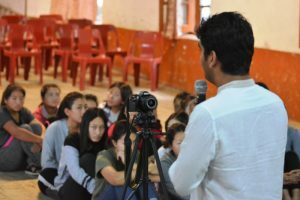 With the aim to put forth powerful ideas and impactful talks to influence and inspire the society, 365 degrees organised an open mic session for the children of TCV ( Tibetan Children Village) with the theme of preserving Tibetan Culture and Values recently. In all around 100 students from the school were gathered to attend the open mic session where the speaker is allowed 365 seconds of the stage to put forward his m/her ideas and enlighten and brighten the minds of the audience. 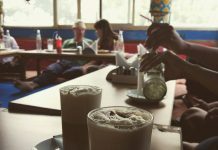 The main idea and strength of these open mic sessions are that it gives its audience the chance to come up and share their ideas as well on the stage. 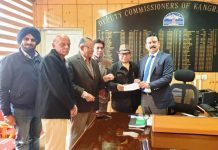 The speakers for the event were Lobsang Wangyal, the owner of Lobsang Productions and the organiser of Miss Tibet Pageant. Expressing his idea of culture and religion, Wangyal emphasised the idea of gratitude and evolving with the changing morals of one culture. “Culture is never static, it is always changing as we evolve with time. What we need is to never forget our core values”, said Wangyal. 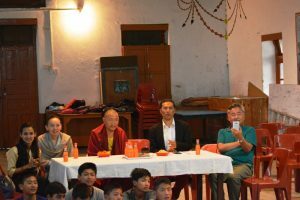 Geshe Jamyang, director of Tonglen charitable trust, enlightened the young minds with his philosophies of Buddhism .”Buddhism is a wide culture. It teaches us to serve and love without expecting anything in return.”, said Jamyang. “Culture is the intersection of people and life itself.” Said the other veteran speaker Sonam Dechen, singing, associate director of Tibetan centre of conflict resolution. 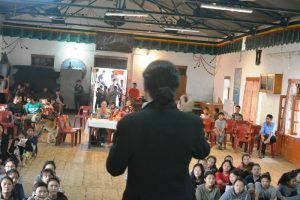 The students shared their ideas of culture and discussed the idea and power of making a change for self and for the society during the interactive session.The students were enthralled by joyful singing, dancing performances by volunteers of 365 team where few of the students among the audience also stood up to show their exuberant hidden talents. The team of TEDx Dharamshala was also present in the event. They addressed the stage to raise awareness about their upcoming event in November and talk about the power of ideas. 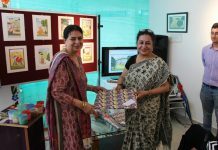 The event was marked a hit by Director of Tcv by thanking and appreciating the efforts of the team of 365 degrees for making an effort of starting an interaction between the school children of TCV with their Indian friends. 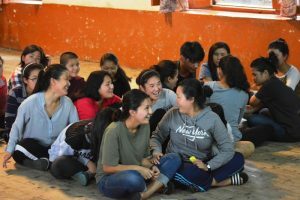 “I thank the team of 365degrees for starting a bond of friendship with the children of our school and I look forward to hosting such events in the future as well.,said Tsultrim Dorjee, Director Of TCV (Tibetan Cultural Village). The 365 degrees organised a similar open mic session in Dharamshala college on July 29, 2017, where the speakers like Col Jai Ganesh, Ms Rashmi Ramol, Dharamshala principal b.ed college Dharamshala and Dr Naresh Sharma, Professor of English Department of Government Degree College, Dharamshala and expressed their ideas on the theme ‘Life after College’.